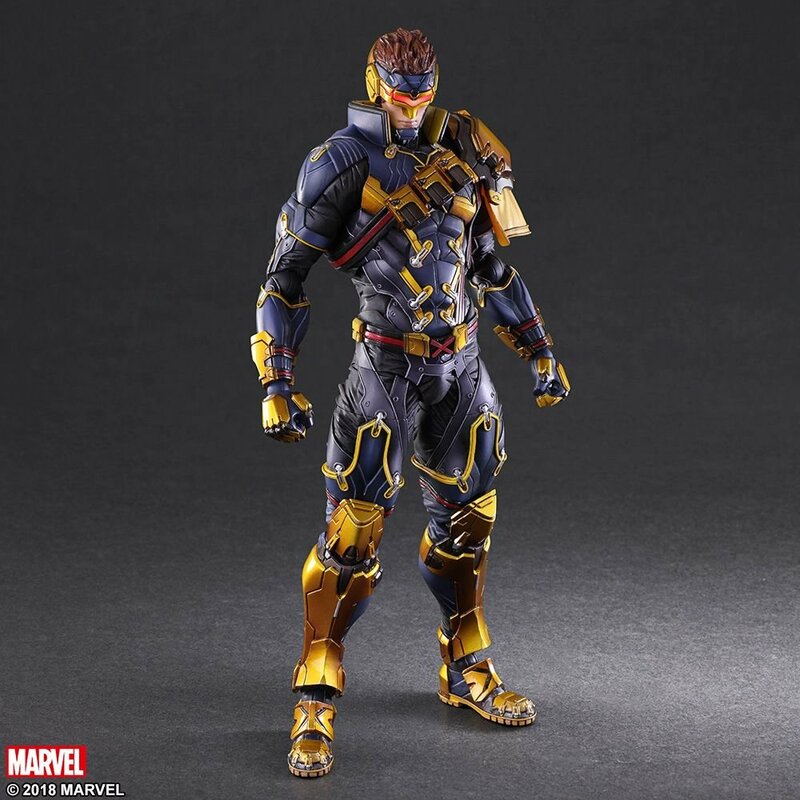 SUPER HEROES RE-IMAGINED BY PLAY ARTS KAI CRAFTSMANSHIP. 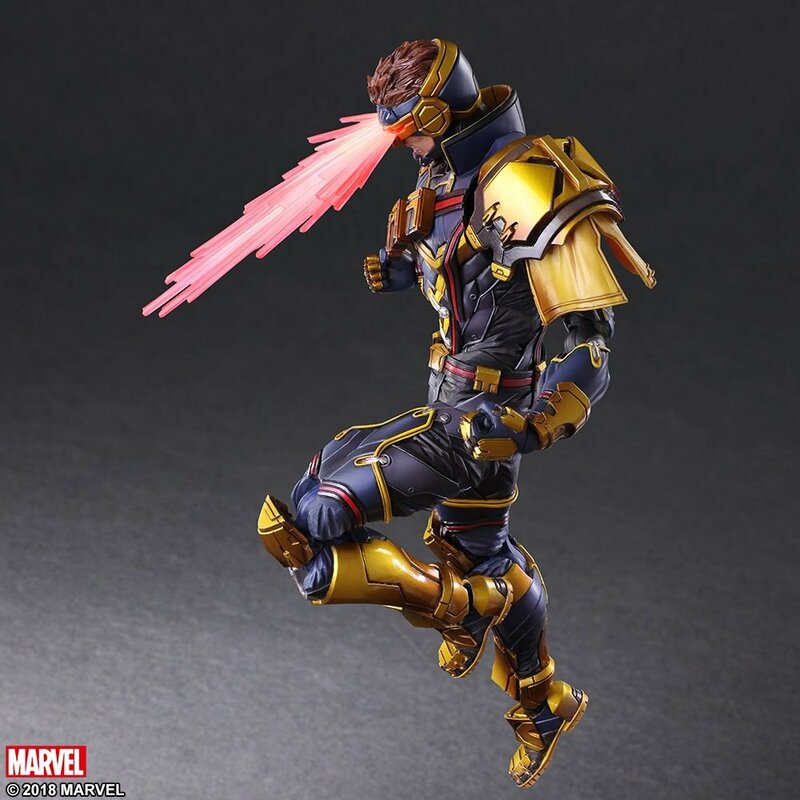 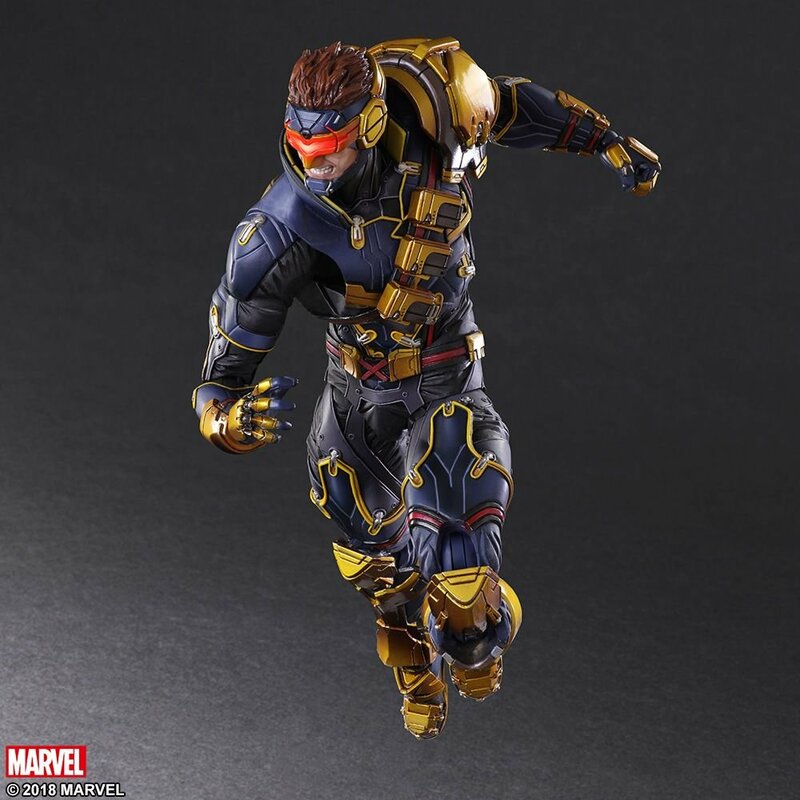 Cyclops, a prominent member of the X-Men who has the ability to emit destructive beams in the form of optic blasts from his eyes, is now available as a MARVEL UNIVERSE VARIANT PLAY ARTS KAI! 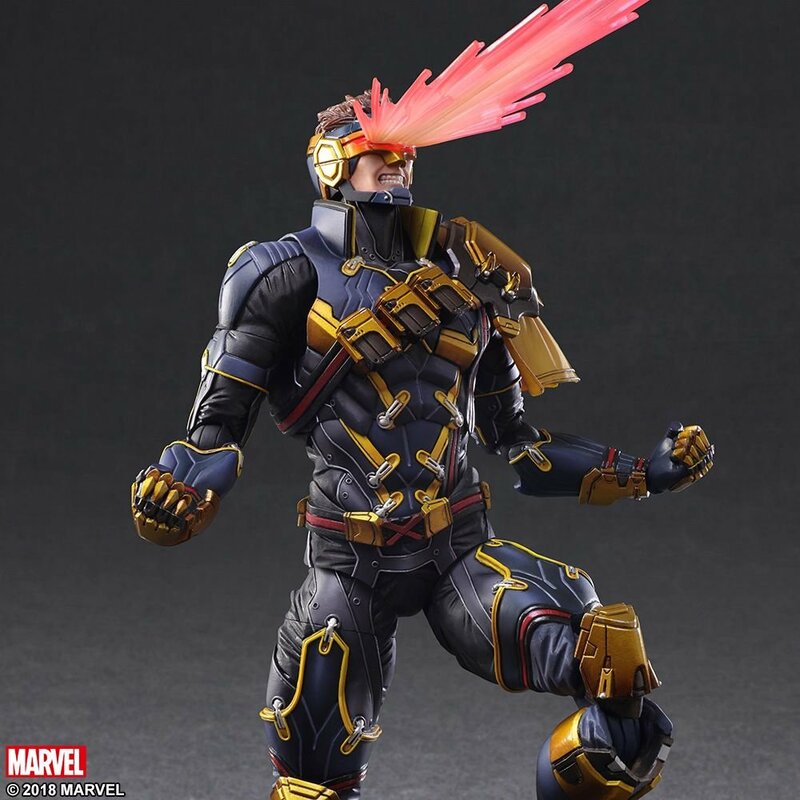 The design captures everything that makes Cyclops iconic, starting with his visor, used to regulate his uncontrollable super power. 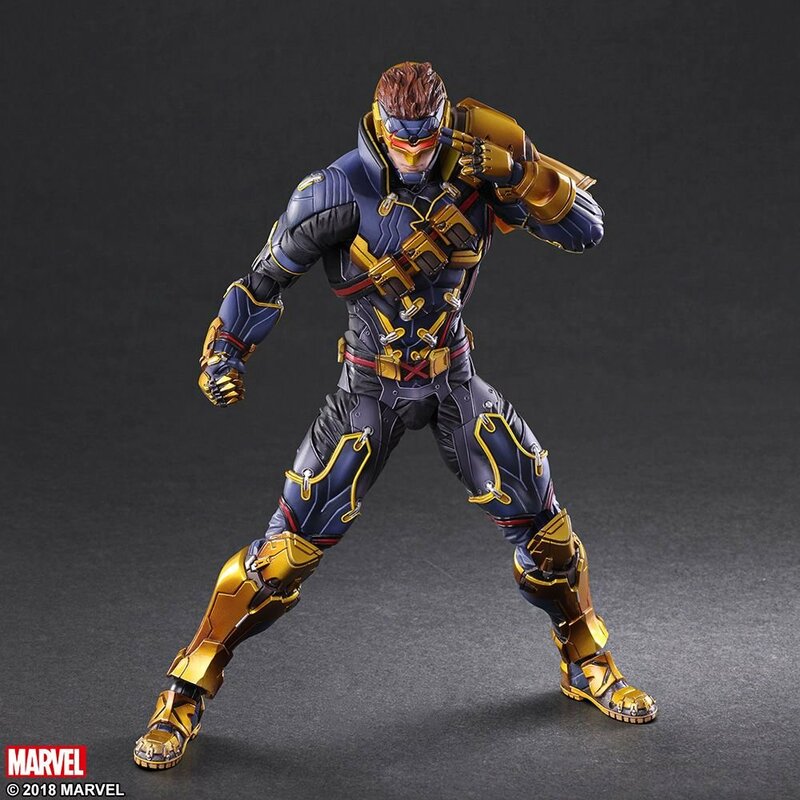 His muscled physique is decked out in a unique, yet recognizable version of his suit, with various fighting equipment, embodying the VARIANT PLAY ARTS KAI design ethos. 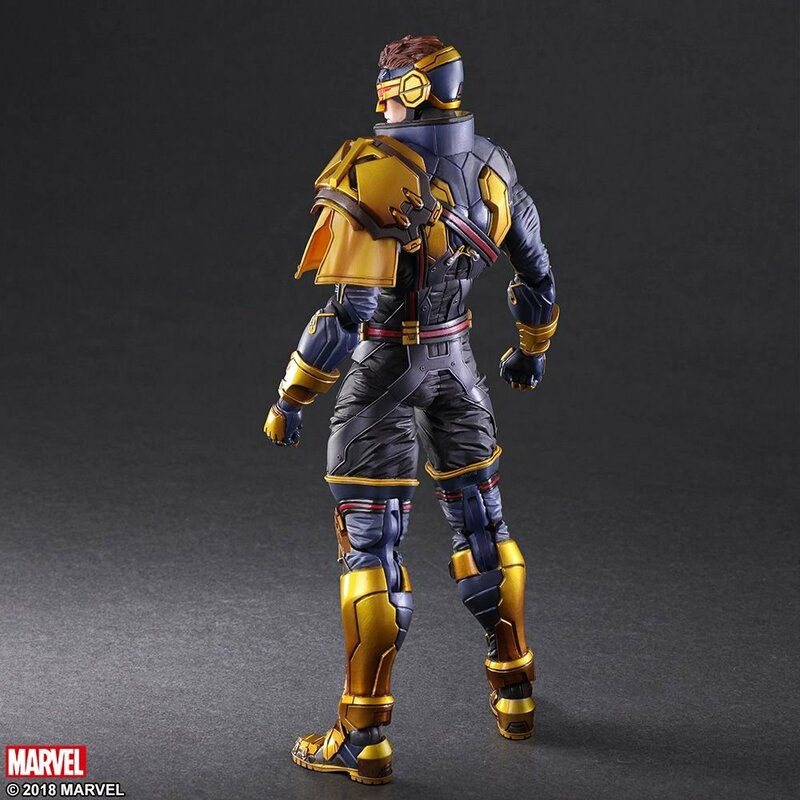 Colored in detail, the utilization of glossy, matte and metallic finishes offer a realistic effect, carefully expressing the various textures of this figure and capturing the feeling that Cyclops has encountered countless battles. 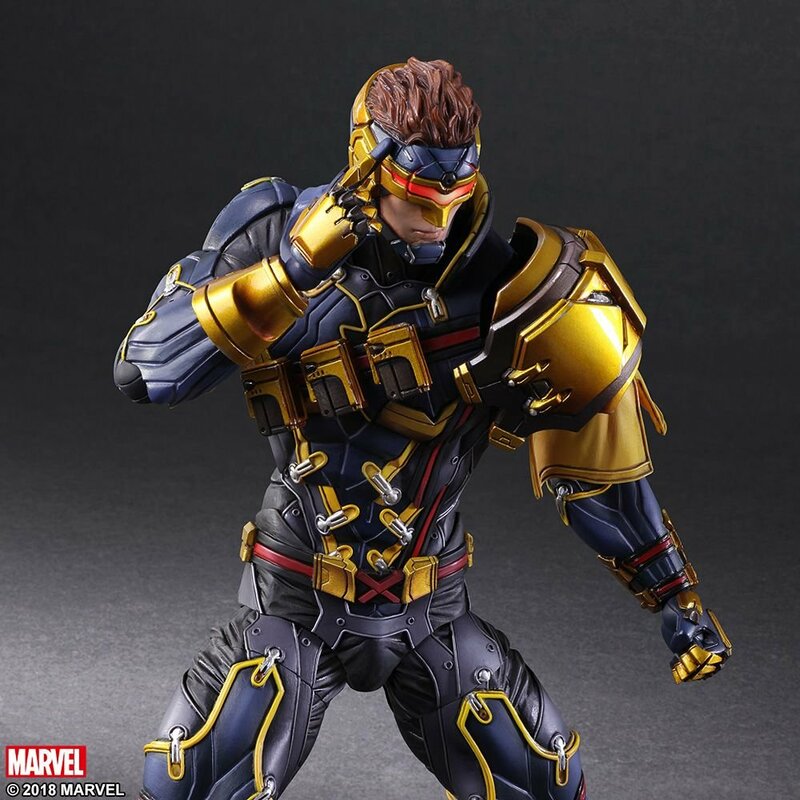 You can enjoy the powerful presence of this figure thanks to the abundant set of exchangeable parts contained within, including two facial expressions and eight hands. 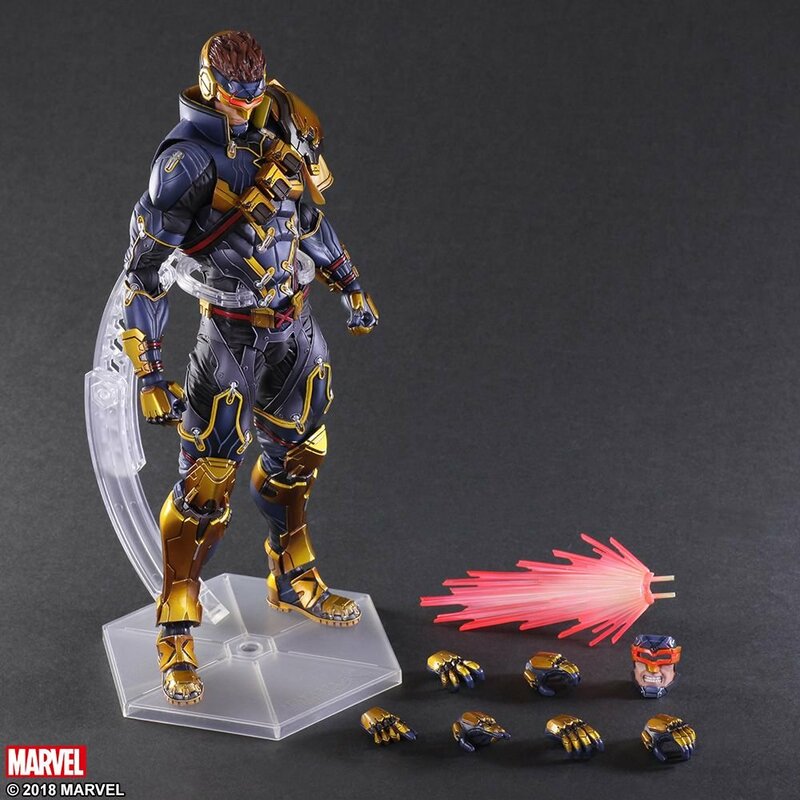 Figure Size: Approx. 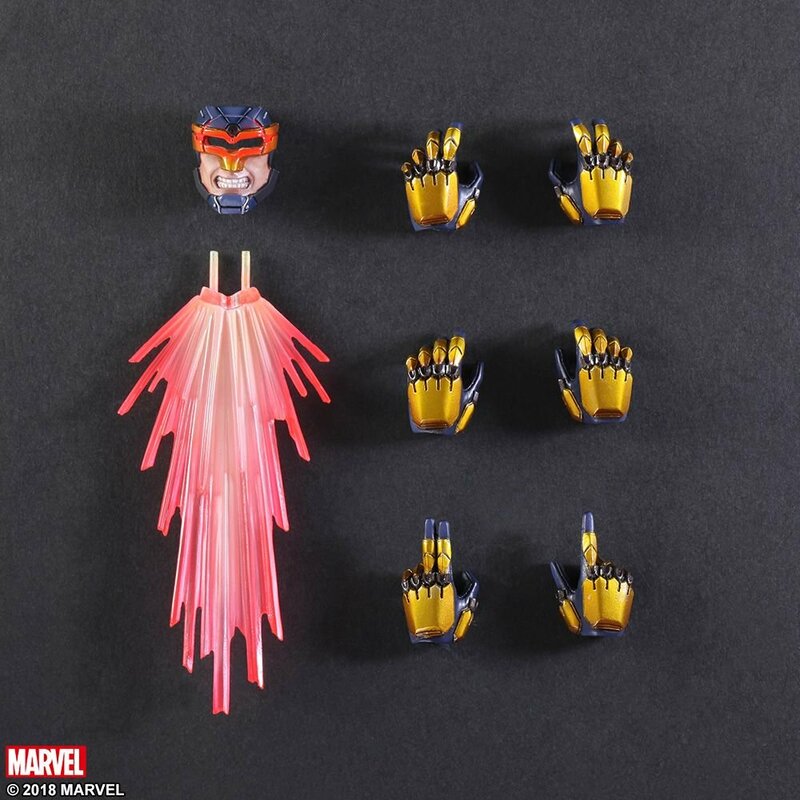 W4.4" x D2.09" x H10.7"